Make the body light and relaxed, make the eyes bright, strongly increase energy, strengthen the body and mind. resist fatigue, resist lack of oxygen, resist excessive radiation, prolong life, increase intelligence when consumed regularly, cardiovascular tonic and promote regulation of blood sugar are some of the imbalances satisfied clients have used this product for. White Ginseng, Prepared Rhemannia, Schizandra, Eucommia Bark, Dang Gui, Cornus Fruit, Dioscorea, Goji, Poria, Licorice, Epimedium Leaf and Red Jujube Date to regulate the endocrine system and release Human Growth Hormone. 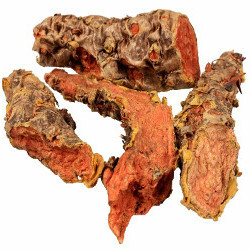 Rhodiola Sacra and Rhodiola Crenulata are from Tibet and are considered in the Orient to be the most powerful varieties of Rhodiola in the world. Rhodiola rosea from Europe and Russia is also beneficial but is not as potent as the Tibetan varieties. 1/4 to 1 gram per day or as directed by your wellness coach. Blend all ingredients in blender or mix with a whisk. Drink between 11 a.m. and 1 p.m. for energizing your mind or as a pick-me-up anytime of the day! Wow, this stuff smells really potent! Most herbs I've bought don't give off an aroma as much as this brand, wow again! Most labels say to take 3 capsules, 2 times a day, but I tend to start with 1 capsule to assess my tolerance. I used it Friday and Sat, 1 capsule each day was way more than enough to stimulate my mind. I was actually overstimulated from it. Did I say Wow?